Trading is a very unique activity, especially in regards to psychology. Having the wrong mindset when trading can be detrimental to success in trading. That’s why I recently read a book that is all about the psychology and trading and the importance of developing a right mindset. The book is called ‘Trading In The Zone’ and is written by Mark Douglas, the author of ‘The Disciplined Trader: Developing Winning Attitudes’. Mark Douglas is of the opinion that the main factor separating winning from losing traders is the mindset. In his book, he teaches you the importance and the process of achieving a winning attitude. A big part of a winning attitude is thinking in probabilities which is thoroughly explained as well. In this article, I will present the big impact of psychology on traders and techniques to develop the best possible mindset. 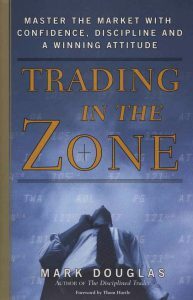 The presented knowledge comes from experience, trading books (like ‘Trading In The Zone’) and more. Click HERE to check out ‘Trading In The Zone’ on Amazon. First of all, why does psychology even play a significant role in trading? Most people have grown up to learn that the more work you put into something, the better you will do. The more hours you put into your work, the more you get paid. Most jobs are paid on a per hour basis. But even those that aren’t, usually require more work for better results. This can’t necessarily be applied to trading. The market does just not care how many hours you put into something. You may very well work dozens of hours on researching and analyzing all the fundamentals, technical chart patterns and more of a stock, just to open a position and close it for a loss. It can be very hard to accept this reality. Sometimes, you will put in a lot of work and still feel like you are getting punished. Trading is a very emotionally demanding job for most people. Generally, seeing your hard-earned money vanish in front of your eyes isn’t easy. Seeing weeks of gains getting wiped out from one (bad) trade really can be upsetting. Due to this, many traders have the feeling that the market is against them personally. But experiencing major gains can have a big effect on a human’s emotions and behavior as well. Another thing that makes trading so unique is the constant uncertainty. Most humans aren’t used to constant uncertainty and therefore, it can be very hard to change one’s attitude. Being up thousands of Dollars one day, just to lose them all again the next day is unique to trading. It is very important to understand this uncertainty. No matter how good of an analyst/chartist or whatever you are, you will never be able to predict all moves correctly. No one is correct 100% of the time. Nevertheless, it is still possible to make money with trading. Even though everyone says that emotions should be left out of trading, this is a very hard/close to impossible task. But hopefully, you will be able to avoid a lot of emotional trading after reading this article. These truths assume that you already have a concrete trading system in place. Otherwise, trading doesn’t make too much sense anyway. If you don’t know what you are doing and don’t have a concrete plan, you should not be trading. If your reasoning for entering trades is inconsistent, then so will be your results. This truth is relatively simple. The market is nothing else than millions of people expressing their thoughts about an asset’s price. Some people think the asset’s price will increase and therefore, they buy and vice versa. It is impossible to know what this huge collection of different beliefs will do next. Theoretically, anything can happen next. Evey single person of these millions of people can influence the price. In theory, almost any price increase or decrease is possible. Even though anything can happen, it is important to understand that the likelihood that certain things will happen is different. 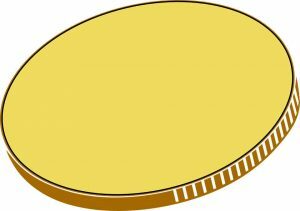 The probability that an asset’s price will rise by hundreds of percent is relatively slim. However, the probability is not zero! Everything is possible but not everything is likely. The second fundamental truth goes hand in hand with the first one. You don’t only don’t need to know what is going to happen next, you can’t know what is going to happen next. If you think of the markets as millions of different people, companies etc. expressing their beliefs, it is absurd to think that you can know what is going to happen next. If you know what is going to happen next, you would have to be familiar with the belief of every single person or entity interacting with the market. It is pretty safe to say that this is impossible. However, this does not mean that you can’t make money in the markets. If you have a trading system with a true edge, it does not matter what is going to happen next. The outcome of your next trade does not matter. Mark Douglas uses the casino business to explain this. Casinos have a true edge. The odds are strongly in their favor. For instance, when someone plays roulette, the casino knows that the odds are in their favor. However, they do not know what is going to happen on the next roulette spin, nor do they care. They don’t mind losing money on the next game because they know that the odds are in their favor and thus they will make money in the long-term. The same goes for trading with a trading system that has a real edge. You don’t need to know what is going to happen next as long as the odds are in your favor. This is once again related to the previous fundamental truth. Just because the odds of something happening are in your favor, does not mean that that thing will happen. Let’s take another look at the casino example from before. A casino knows that the odds of making money on a single roulette game are in their favor. 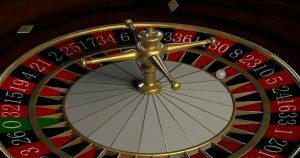 However, it is very possible that they won’t make any money on a single game of roulette because there is a random distribution between wins and losses… Casinos won’t win 100% of the time and they are totally fine with that because they will win in the long run. In the long-term, the numbers will add up as long as the number of occurrences is big enough. This should be relatively self-explanatory by now. Casinos have an edge which means that the odds of winning are on their side. But that edge does not mean that they will win all the time. If this wouldn’t be the case, it would mean that every single person and entity that interacted with the market during a previous moment, have to do the exact same thing again. They would all have to have the same beliefs as last time. All of them would have to open and close their positions just like last time. Obviously, this is not likely if not even impossible. Therefore, you should not compare a moment to a previous one as you then would expect the same outcome. If a moment isn’t unique, you would have to know every variable which once again isn’t possible. If a trader truly implements these beliefs into their mind, they will automatically create a trading plan before every trade which is a very important component of successful trading. One major part of a trading plan is defining your risk. If you actually believed that you don’t know what is going to happen next and that anything is possible, you would always define your risk and cut your loss. If you believed in your edge and all the truths, why would you deviate from your trading plan? Why would you revenge trade or double up to make back the losses from a previous trade…? Why would you feel emotional pain if you believe in your edge? Does a casino feel emotional pain just because it lost on a single game of roulette? Heck no and neither should you! If you want to learn more about the ‘Five Fundamental Truths’ and how to implement them into your trading, I highly recommend checking out Mark Douglas’ book. Let’s summarize what you can take away from the ‘Five Fundamental Truths’. First of all, you need a trading system with concrete rules as you otherwise don’t have an edge and an edge is necessary for you to become a consistently profitable trader. The more concrete your trading system is, the better. Ideally, you should be able to precisely write down what rules your trading system has. If you create a trading plan with all of the just mentioned aspects, you should find it much easier to avoid emotional trading. Creating the trading plan BEFORE you enter a trade is key because you will only be able to think completely rationally before entering a trade. After opening a position, your hard-earned money is at risk and therefore, it is much harder to think rationally at that point. Never deviate from your trading plan! The trading plan should also be as specific as possible. If you have trouble sticking to your plan, write it down. In theory, your trading plan should be so concrete that you would be able to give it to someone else who then could execute the entire plan without having to ask you. Another trick to help with sticking to the plan is setting trade alerts. For example, if your plan says to adjust your position if an asset’s price moves to a specific price, you could set a trade alert at that price. If that price is reached, you will be notified and adjust your position without having to think about it. Otherwise, you could also use automated orders like stop-losses and take-profit orders to automate the closing process. But one of the most important aspects of trading emotionless is your position size. If you keep your position sizes small and fully accept the risk, you shouldn’t have trouble avoiding emotional trading. Someone who always risks half of his account will obviously not be able to sleep at night. However, if you only risk up to 5% of your account at once, one, two or even more losses are insignificant. Trading is a very unique activity and it can mess with your psychology. Often the psychological aspect of trading is ignored even though it is just as important as learning trading strategies. 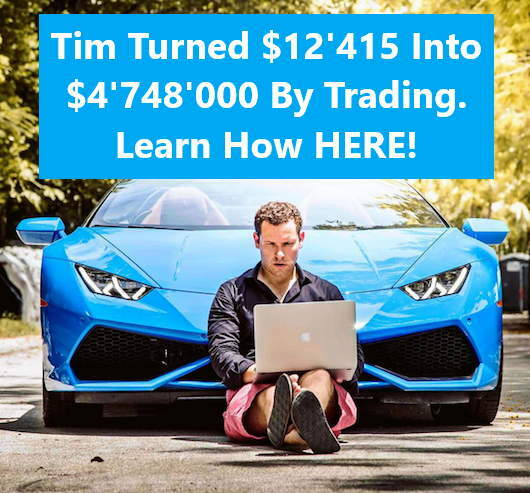 If you are familiar with a seemingly profitable trading system but somehow can’t manage to be consistently profitable with it, it might be due to your mindset. Note that I just touched this topic. Hopefully, this article gave you a good idea of what a consistently profitable trader’s mindset looks like. If you want to learn more about this topic and how to fix your mindset, I really recommend checking out ‘Trading In The Zone’. It was filled with enlightening ‘aha moments’ and in my opinion, it is a must-read for any trader, especially if you are struggling with consistency. Click Here To Buy ‘Trading In The Zone’ On Amazon! Wow, what a great and interesting article. I have often thought of trading but all the emotions keep me back, such as “what if I lose all my money” and “what happens if.” I have two very close friends who trade consistently and I notice when they make money, they get very ‘high’. I will have to give trading more thought and perhaps taken a look at Mark Douglas’s book. Thanks for enlightening me on the 5 step winning mindset! Very clear and makes a lot of sense. Glad you enjoyed the article. Don’t forget to educate yourself before starting to trade with real money. For trading, you are saying that we need to approach with different mindset with ordinary jobs? Following your post…you said that we can’t predict 100% all trends and tradings, then how we still have some millionaires every year? WIthin 5 elements, I’m interesting on the last one which is “every moments in the market is unique”, but I’m not quite understand. 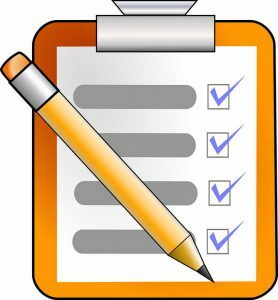 Can you provide a case study for deeper knowledge? Trading is a unique activity and therefore, you require a special mindset. So yes, you should approach trading with a different mindset than other activities/jobs. Like I said in the article, even though you can’t be right 100% of the time, you can still make money. For instance, if you win 70% of the time and your losses aren’t bigger than your gains, you will make money. I don’t have a concrete case study for the 5th fundamental truth. But if you think about the markets as millions of people expressing their beliefs (buying/selling/holding/waiting for better opportunities), this truth should make sense. In every moment of the market, there are millions of people doing different things. For a moment not to be unique, all the exact same people (as last time) would have to express the exact same belief (as last time) at the exact same time relative to each other as they did once before. This is practically impossible and thus, every moment is unique. Hopefully, thi helps. If not, please let me know!